Striped cucumber beetles (Acalymma vittatum) and spotted cucumber beetles (Diabrotica undecimpunctata) have been attacking our vegetable gardens since the beginning of spring and continue to feast on leaves, blossoms and fruits of many crops. Cucumbers, beans, melons, and squash are the most preferred food source. Another downfall of having a cucumber beetle infestation is they transmit the bacterial wilt and mosaic disease. It takes about 6 weeks for a plant to collapse so if you have had perfectly healthy squash plants die rapidly this could be your culprit. To determine if you have the disease cut a leaf in half and if there is a sticky sap that oozes from the cut, then you have a bacterial disease. The bacterial disease causes blockage in the water conducting tissues causing the wilt. Adult striped cucumber beetles overwinter in wooded areas and garden debris in Illinois. 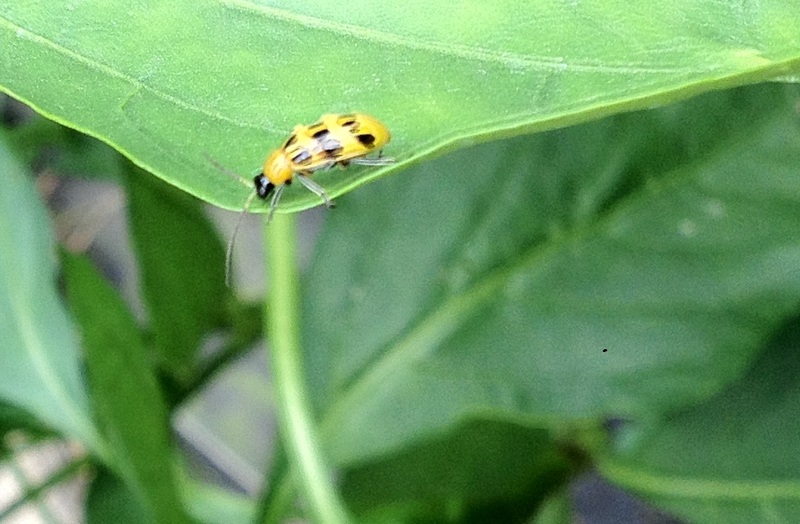 The adult spotted cucumber beetle migrates from the southern states in the early spring. As adults feed they lay their eggs in the soil at the base of the plants. The larvae hatch in 2-4 weeks and feeds on the roots systems. The larval stage is followed by a pupating stage occuring in the soil. 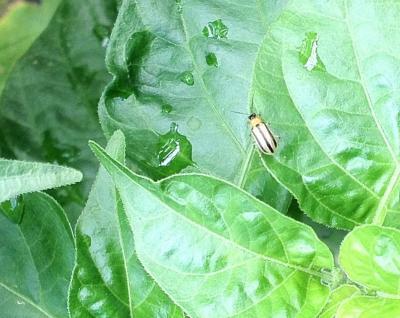 Cucumber beetles can be devastating pest to several crops. The University of Illinois extension suggests the use of row covers when plants are young. As blossoms form, take row cover off of crops so pollination is allowed. Spinosad and pyrethrum based chemicals can be used to control adults. 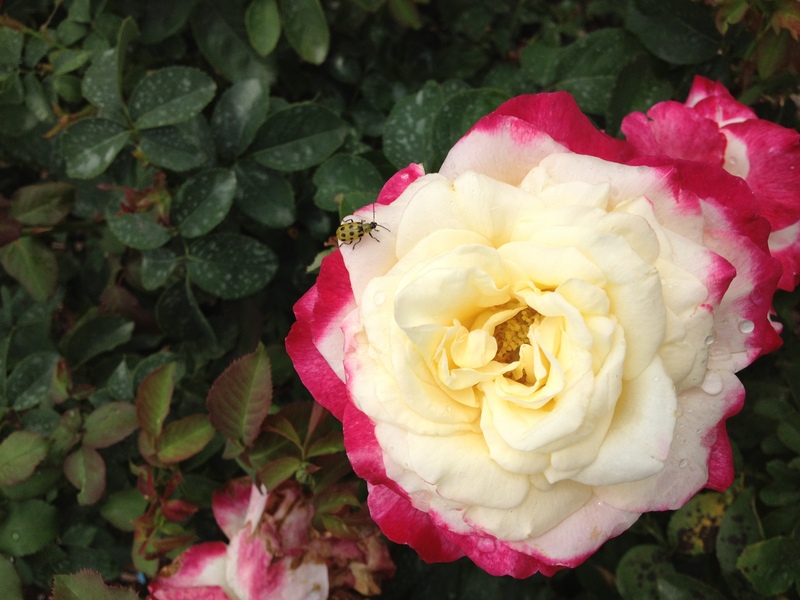 However, it is important to spray at night so beneficial insects and pollinators are not destroyed in the process. Cleaning up overwintering debris, weeds and crop rotation can be other methods of reducing cucumber beetle infestation. To prevent egg laying, mulch can be a real deterrent. Soldier beetles (Chauliognathus sp.) are considered a very important beneficial predator of cucumber beetles. 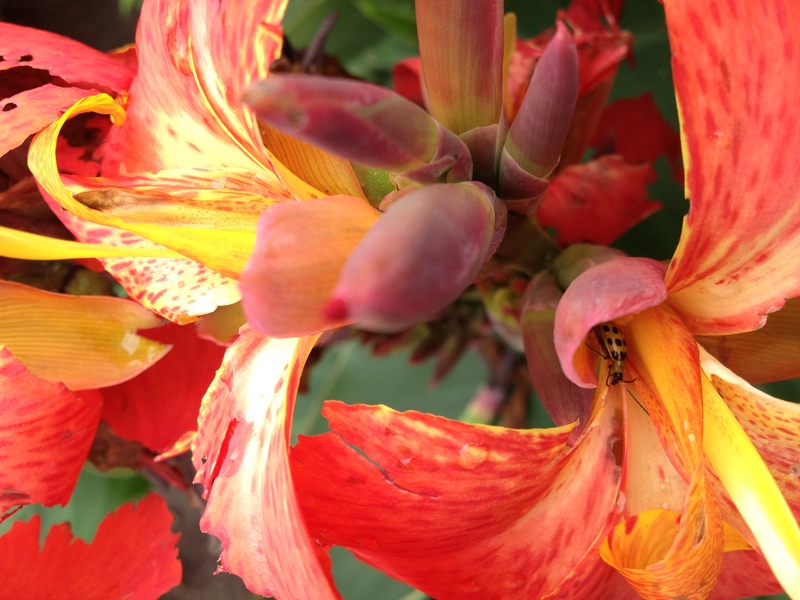 However, limit or eliminate pesticide applications to encourage beneficial insects into the garden.